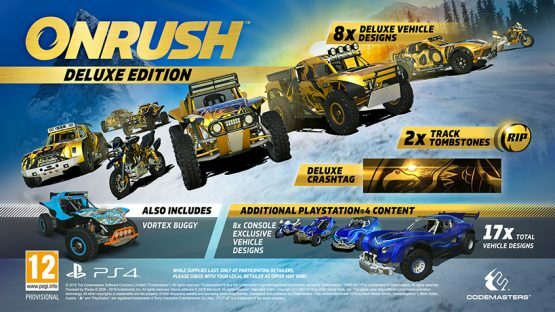 Originally debuted during Sony’s Paris Games Week 2017 press conference, developer Codemasters upcoming arcade racing game called ONRUSH was a change of pace for the studio. Unlike a lot of the developer’s racing titles, this isn’t a simulation title; instead it’s an arcade game. Recently we got a release date, as Codemasters revealed that it will release June 5, 2018, and now we’ve got a brand new trailer showing off more gameplay.